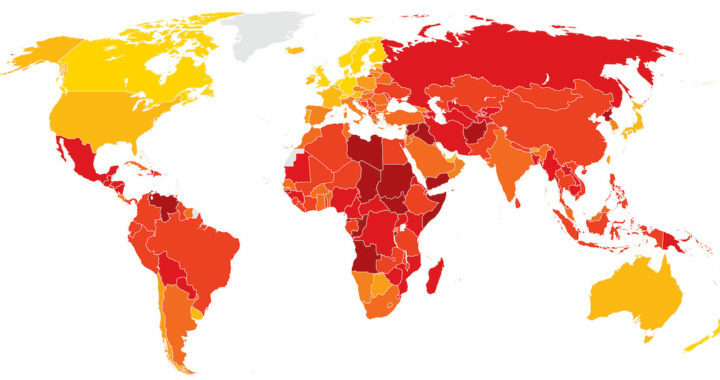 The index, which ranks 180 countries and territories by their perceived levels of public sector corruption according to experts and businesspeople, uses a scale of 0 to 100, where 0 is highly corrupt and 100 is very clean. More than two-thirds of countries score below 50 on this year’s CPI, with an average score of just 43. It reveals that the continued failure of most countries to significantly control corruption is contributing to a crisis in democracy around the world. While there are exceptions, the data shows that despite some progress, most countries are failing to make serious inroads against corruption.